Online ExclusivesWhy is this Macerator an Operator Favorite? 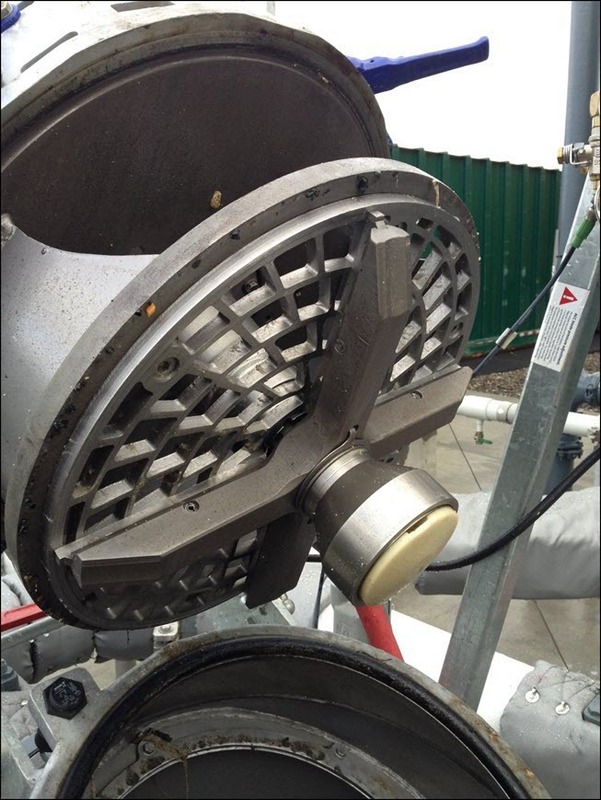 Wastewater operators love the RotaCut Inline Macerator. It removes heavy solids that damage pumps, valves and other equipment. It reduces wipes, rags and fibrous material into defined particles rather than simply shredding them. They can handle septage or FOG but are also perfect for feeding and cleaning digesters. They handle solids and condition sludge, all in a service-friendly design that can be maintained inline. While Vogelsang offers a full line of twin-shaft grinder, customers will tell you that the RotaCut inline macerator is a better option for many municipal wastewater applications. Check out this video to see how the RotaCut macerator operates and read more below. Vogelsang’s RotaCut Inline Macerator is designed to remove heavy solids from the waste steam, while using a spinning blade assembly to reduce debris such rags, wipes, hair, string, plastics, wood and bone, into an acceptable size for the downstream equipment to pass. Instead of shredding hard objects such as metal or stone, the units catch heavy debris in a collection pot for removal from the line. Not only will these units protect pumps and dewatering equipment, they are ideal for sludge conditioning based on the blades’ ability to create a homogenized slurry. Vogelsang’s ACC – The unit’s Auto Cut Control design which automatically maintains the proper tension between the blade and the cutting screen, ensuring a proper cutting action, even as the blades wear. AutoReverse – Should a piece of debris get lodged in the screen, the rotating blade system will automatically switch back and forth from forward to reverse until the piece of debris is severed and dislodges. Self-sharpening blades – The unit’s design allows the blades to maintain their edge through the natural course of operation and the manner in which the blades pass over the screen. Easy inline maintenance – There are no cartridge-style parts that have to be sent out for reconditioning or factory refurbishment. All models feature a quick-release door allowing access to the cutting head. All RotaCut screens are reversible to allow for a fresh cutting surface without buying a new spare part. Typical routine service such as changing blades or flipping the reversible cutting screen takes only a fraction of time required to service a typical twin-shaft grinder. Adaptable to your operation – Available in several models and several cutting screen patterns, RotaCut macerators can be provided in a design that will produce a designated size solid. See the RotaCut Overview page for more details.